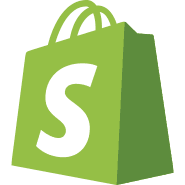 Shopify - Simplicity Consulting Inc.
Shopify is a complete e-commerce solution. A highly customizable online storefront that accept credit card payments, tracks and respond to orders. Shopify currently powers over 275,000 online stores and grossed over $17 Billion in Sales in 2016. Integrates with Facebook to sell good and services on social media.